Assad has refused to confront ISIS seriously because the terror organization serves him well; and now it seems the Obama Administration is following in his footsteps. Given the White House controls, to the minutiae, any military targets in Syria — paranoid in the big house is routine — destroying ISIS may NOT be the ultimate goal of this administration. Here are some images that I grabbed from an article by Mother Jones that should be examined for their worth. 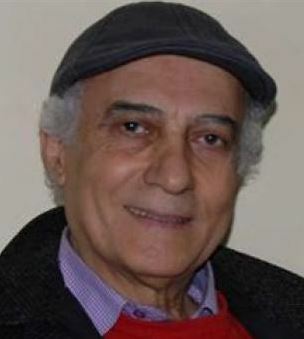 The first to spot the anomaly of our strikes was Anthony Cordesman, a veteran strategy analyst. During his State of the Union speech Tuesday night, President Barack Obama announced that the US military is “stopping ISIL’s advance.” But a close look at the details of the American air offensive reveals a less triumphant narrative: Although the strikes may have slowed ISIS’s advance in the area around the Syrian Kurdish city of Kobani, the overall strategic gains have been minimal. Kobani “became a symbol of the ability to contain ISIS regardless of its strategic importance,” says Anthony Cordesman, military and national security expert at the Center for Strategic and International Studies and former national security advisor to Sen. John McCain. Instead of a concrete strategy, the concentration on Kobani is a “practical problem,” says Cordesman. In October, Secretary of State John Kerry said in a speech that Kobani was not a “strategic objective” for the US. So why all those bombs? Since September 23, when air strikes in Syria began, US and coalition forces have pummeled both Syria and Iraq with nearly 2,000 air strikes. As of early this week, 870 of those strikes were in Syria; almost 70 percent of these Syrian strikes have focused on Kobani and its surroundings. 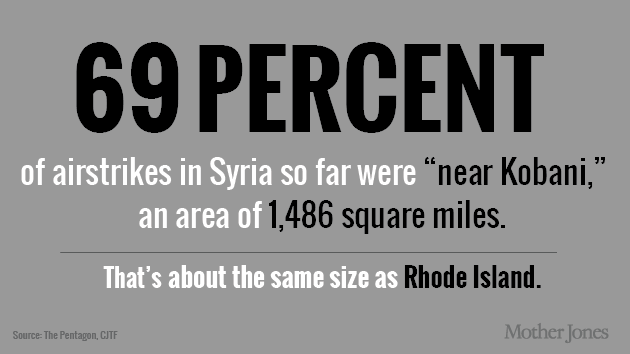 The total area, about the same size as Rhode Island, covers less than two percent of Syria and the majority of the population are ethnic Kurds. There’s a reason that Kobani became so symbolically important: Stories of the brave Kurdish fighters defending the small border city against ISIS swept international headlines last September, and the public demanded that the US step in to prevent a humanitarian disaster. The Kurds, unable to defeat ISIS on their own, turned the tide once they had coalition air support. “Seventy-five percent of all US strikes in Syria were on Kobani,” Thomas Pierret, a Syria specialist at the University of Edinburgh told Ekurd Daily, a Kurdish news site last week. “You give any force on the ground that kind of aerial support and they will get the upper hand.” It has cost taxpayers $8.2 million a day, on average, to conduct the entire airstrike campaign. ISIS now occupies one-third of Syria, or twice what it did when the campaign began, and around 400,000 people have fled Kobani alone. US military officials have conceded that Kobani isn’t strategically important. 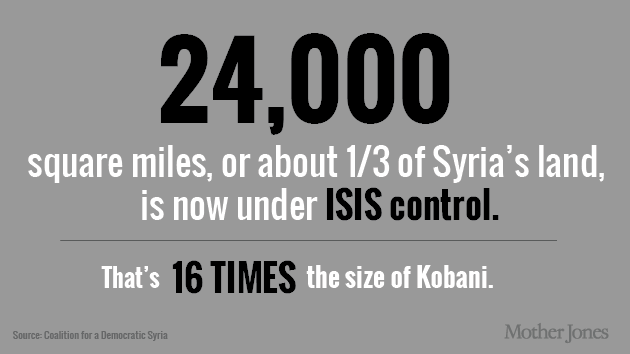 If so, why, as the facts below show, ISIS/ISIL keeps growing? 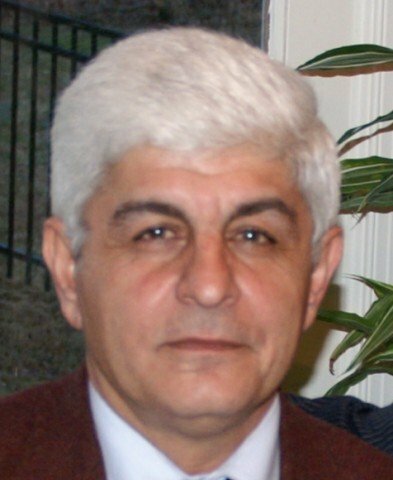 Is the strategy defunct or are we too wishful of thinkers to believe this strategy may isolate ISIS if we lend our support to the Kurds on one side and to Assad on the other (Leslie Gelb of the Council on Foreign Relations is now advocating for Assad the mass murderer). Has anyone computed some risk analysis as to the cost of looking like siding with Assad let alone protecting him as Obama is doing? The costs of not destroying ISIS given the strategy? What is Obama up to? Check the facts for yourself.